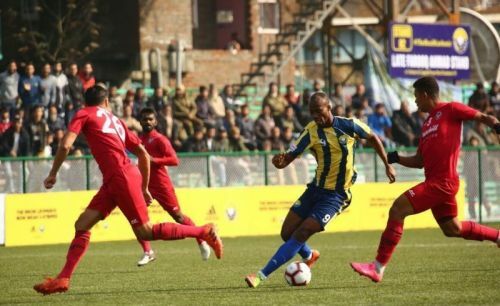 If Real Kashmir wins their match against Chennai City FC and Churchill Brothers get the better of a young Indian Arrows side, the winner of this match should be the new league leader. One ought to note that it was Churchill Brothers against whom Real Kashmir played their first home match in Srinagar. The 10,000 odd fans were brimming with excitement but had to go home disappointed with neither of the sides able to find the back of the net despite the visitors being reduced to ten men at the stroke of halftime. Both the teams showcased a very poor brand of football as they hadn't settled down. However, this time, they would put their best foot forward and settle for nothing less than three points. A draw will help neither of the teams and, Chennai City FC will have a broad smile from distance.